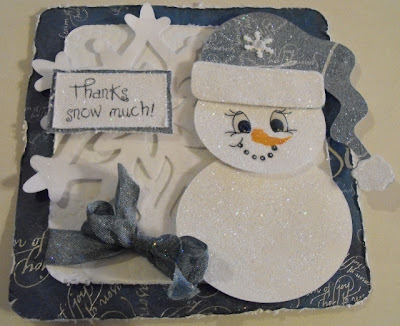 I so much enjoyed reading all of your WONDERFUL comments and all that you are thankful for!! I wish I could give this prize to each one of you!! But, since I have to pick just one winner, I had my husband pick a number between 1 and 76. I have your contact info and will email you! Happy Thanksgiving! - and a giveaway! 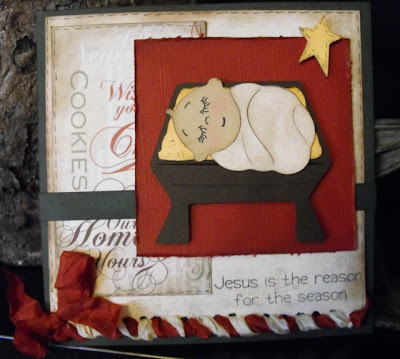 I have 2 posts today, so be sure to scroll down to see today's card project! Thanksgiving is one of my favorite times of year. I am thankful for so many things! I am thankful for my loving family, God's blessings in my life, a comfortable home to live in, the beauty of this earth, the freedom that I enjoy, good health, and many more things. I am also thankful for all of your sweet comments! Sooooo . . . I thought I would do a giveaway to show my gratitude. 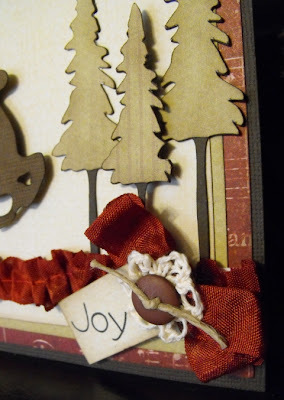 :-) All you have to do to enter is leave a comment saying what you are thankful for, your 3 favorite colors of Crinkle Ribbon, and a way to contact you if you win. How easy is that?!?! Of course, I don't mind if you become a follower if you aren't already! 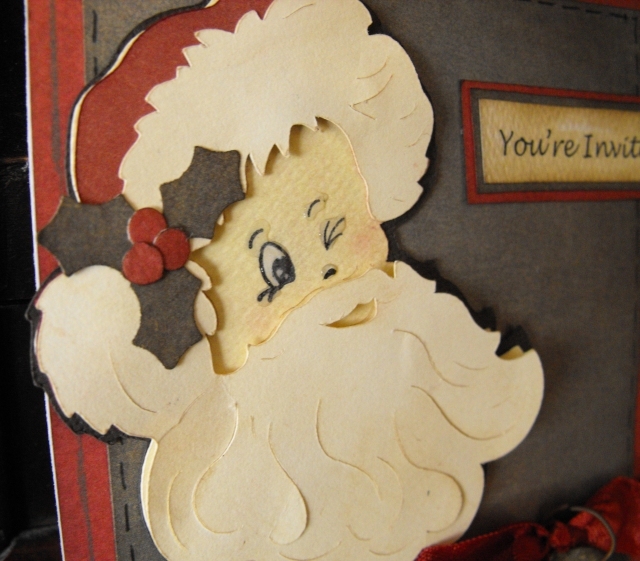 Winners will be announced Monday (November 29th) after Thanksgiving weekend! Hey everyone! 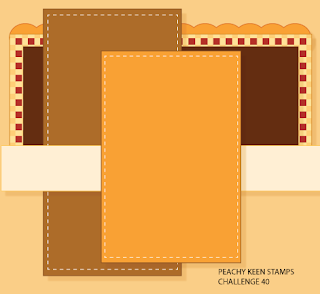 I have 2 posts for today, so if you are visiting from Peachy Keen Stamps Challenge, be sure to click here to see my Thanksgiving post and Giveaway! 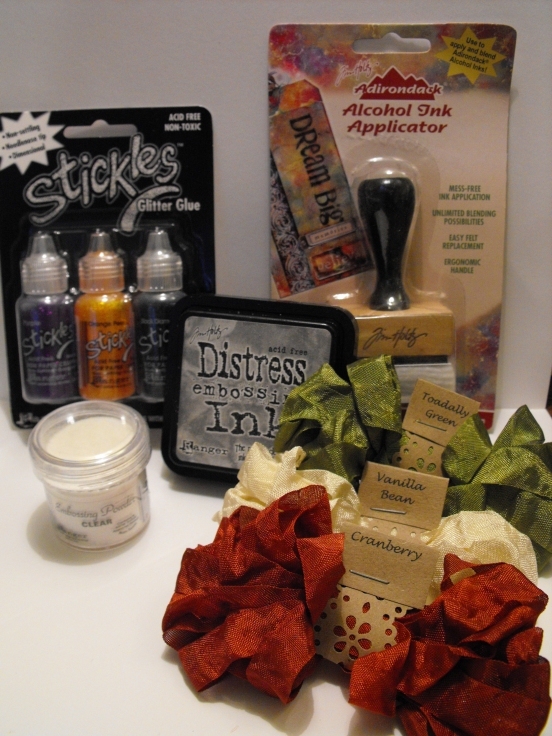 The prize includes Crinkle Ribbon, Embossing ink and clear embossing powder, stickles, and more! This is my take on the current challenge over at Peachy Keen Stamps. 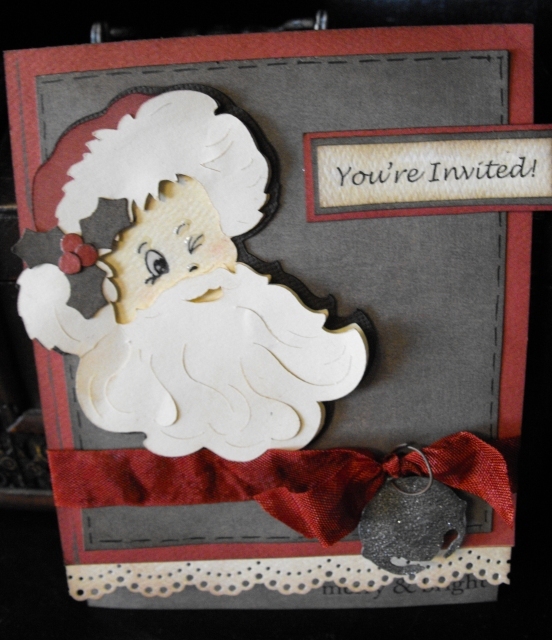 The challenge was to create an invitation for a holiday party. Santa came from the Christmas seasonal cartridge. (Free on the new Gypsy update!) I updated last week!! I think all of the free cartridges are still available on the update. 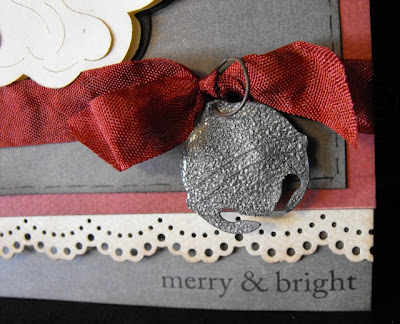 The 'merry and bright' stamp is from My Pink Stamper and I printed the 'You're invited' using my computer. 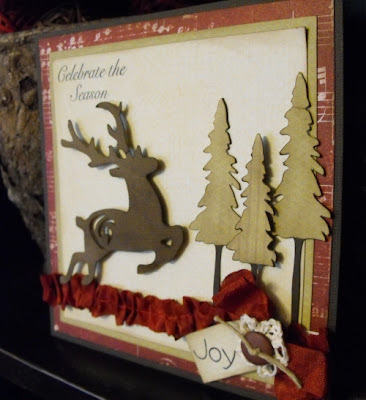 I punched the border with the lace doily Martha Stewart border punch. 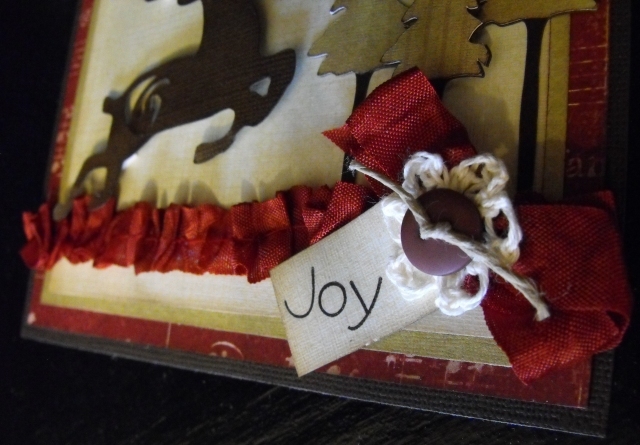 I used Cranberry Crinkle Ribbon. The bell (Christmas solutions cartridge) was heat embossed using silver embossing powder. After embossing, I inked the edges with black ink and then used glossy accents on the top. I made the little jump ring using some rusty craft wire. This little tag was kind of an afterthought. 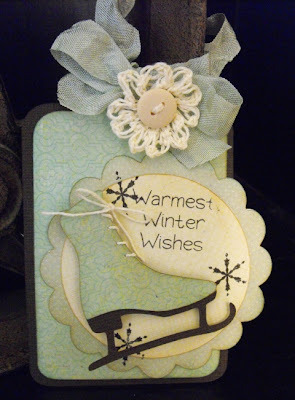 I love to use scraps from other projects to make a tag or small card! The stamped sentiment and snowflakes are from My Pink Stamper. The tag was cut at 4 inches from Tags Bags Boxes and more. I used Aqua Mist Crinkle Ribbon for the bow and a crocheted flower, button, and thread. I cut the Ice skate from Gypsy Wanderings on my Gypsy at 1.86 w by 2.24 h. The scalloped circle is cut from mini monograms at 3.23 x 3.57 and the inner circle is cut at 2.67 by 3.78. 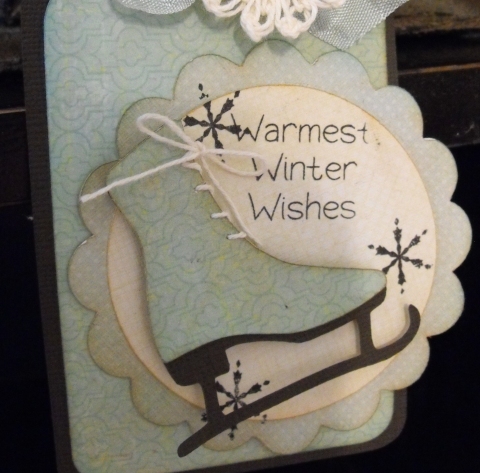 Warmest winter wishes to you! 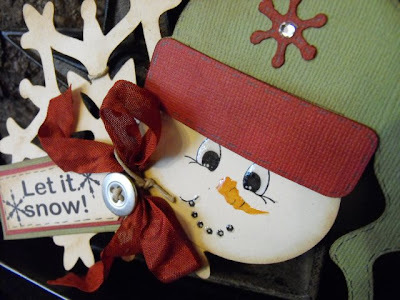 I stamped the face on this cute snowman using the Peachy Keen Everyday Faces set. I wanted my snowman to glitter like snow does on a cold sunny day. 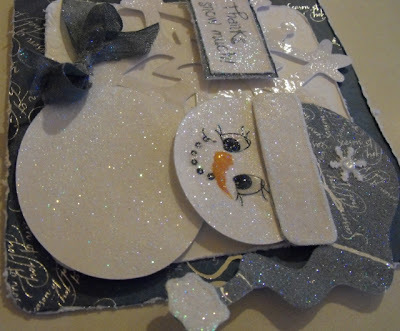 I experimented with lots of different things (tossed them all in the garbage) and finally decided to use spray adhesive and glitter. 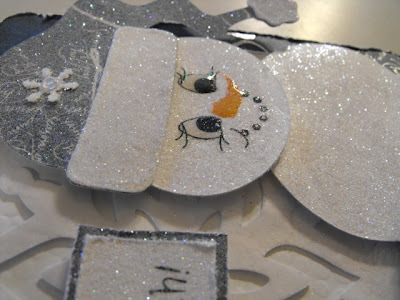 The face kind of faded into the background with the glitter on top, so I added Glossy Accents over the eyes, nose, and mouth. 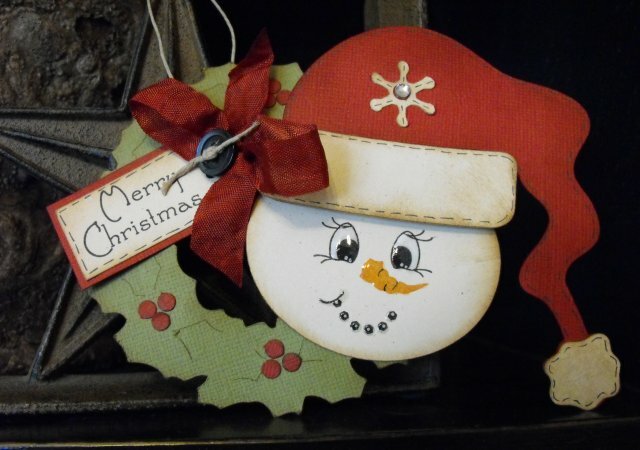 I made the snowman from ovals cut from the George cartridge and stretched on my gypsy. 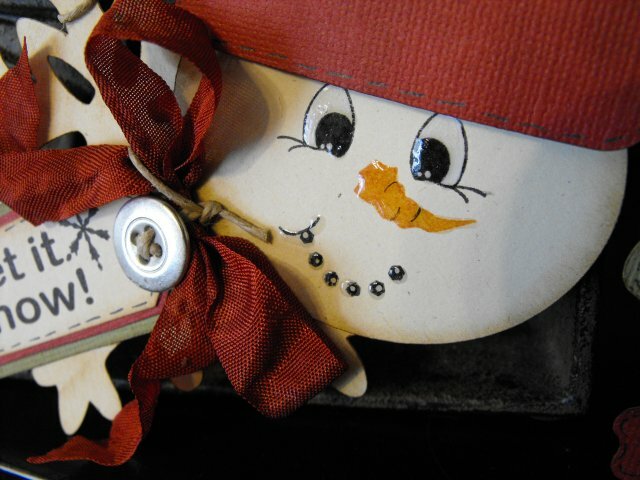 The hat came from Winter Woodland. 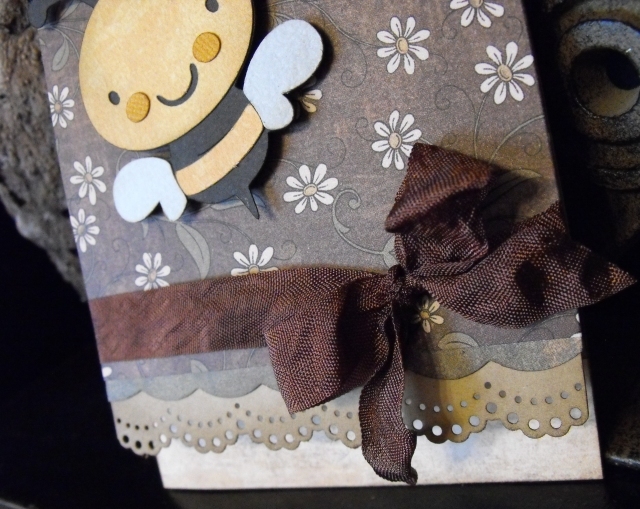 I used Stormy Day Crinkle Ribbon. 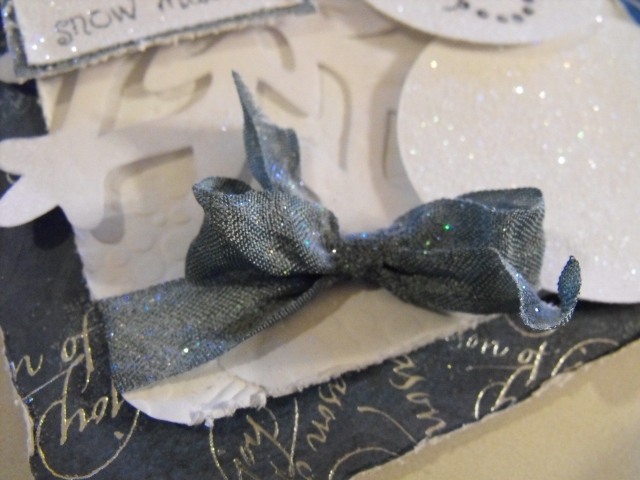 I sprayed the ribbon with adhesive and added a touch of glitter to soften it up! Celebrate the Season - Fun and easy things to do with ribbon! I love Christmas and how it turns my thoughts towards things most important in life . 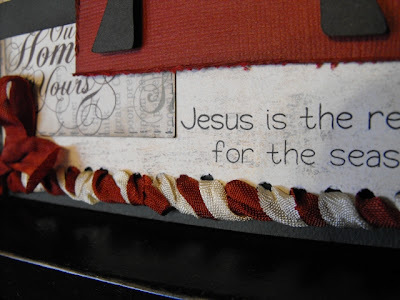 . . family, Jesus Christ, serving others and being thankful for all I have. I love the decorations, the snow, the beautiful music and the yummy foods made only this time of year. Christmas will be here before we know it! For now, I am trying to get a head start on my stash of Christmas cards and gift tags! 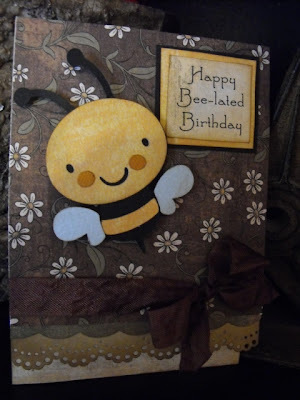 All of the sentiments on the card and tag are stamps from My Pink Stamper. The cardstock is a mix from my stash, but mostly Crate Paper. 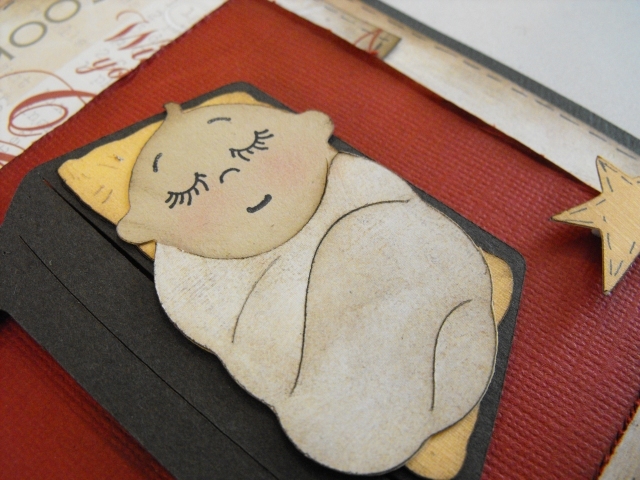 The overall card measures 5 3/4 inches by 5 3/4 inches. The red paper is a 5 1/2 square. The green is 5 x 5 inches and the cream square is 4 3/4 x 4 3/4. The deer and trees are from Gypsy Wanderings. I cut the deer at 3.08 inches and the trees at 3.43, 2.92 and 3.55. 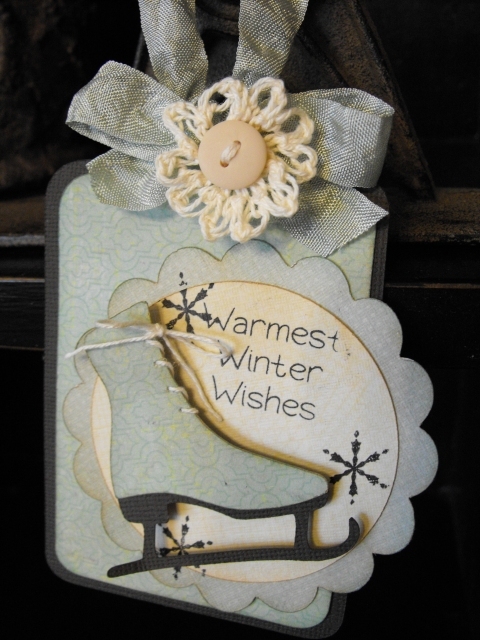 Scroll down for videos showing how I made the gathered border and how to crochet the sweet little flower! I used Cranberry Crinkle Ribbon from My Craft Spot for the ruffled border and for the bow. I inked everything with Walnut and Tea Dye distress inks. This tree was cut from Gypsy Wanderings at 3.55. I cut it twice. Once in brown and once in green. Then I trimmed off the bottom of the green so I could layer it on top of the brown. 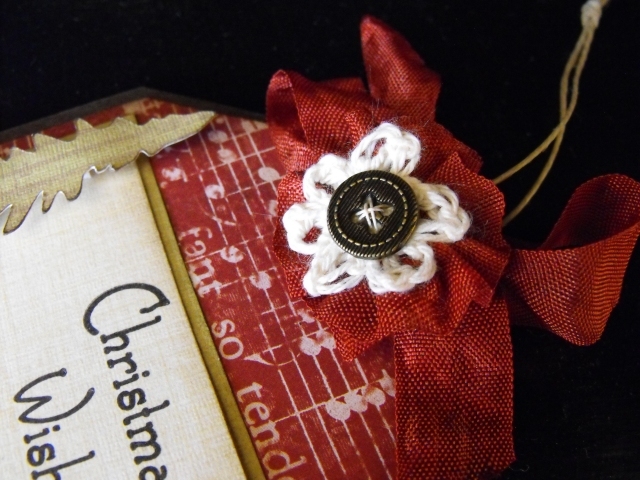 Scroll down for videos showing how to make the Crinkle Ribbon Flower and the Crocheted flower! Ch 4; join with slip stitch to form ring. Love Knot: Ch 1, pull up loop on hook to measure 1/2"m YO and draw through (loose ch made), sc in back ridge only of loose ch just made. 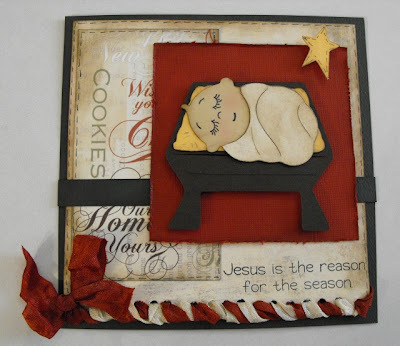 The Baby Jesus and manger are cut from the Paper Doll Dess Ups Cartridge and the Star is from the George cartridge. 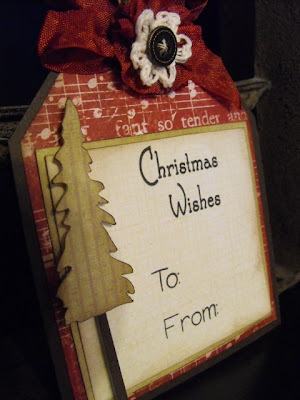 The stamped sentiment comes from My Pink Stamper. 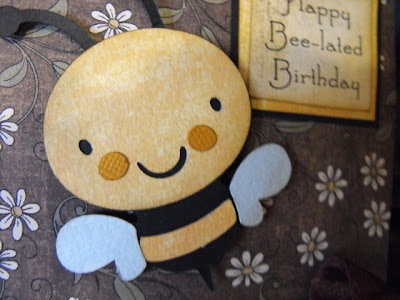 The face stamp is from Peachy Keen. I used an older set (Funshine faces) for the eyes and nose and Everyday character faces for the itty bitty mouth. 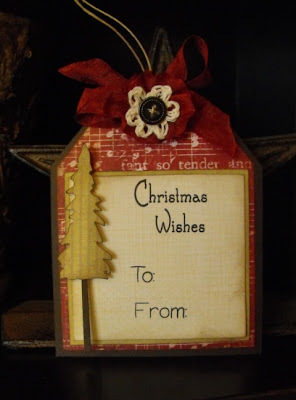 I used Milk Chocolate Crinkle Ribbon to tie the soft, crinkly bow I also used a Martha Stewart border punch and I cut the green scalloped edge with decorative edge scissors. The cute bee comes from the Create a Critter cartridge.The stamped sentiments are from My Pink Stamper. 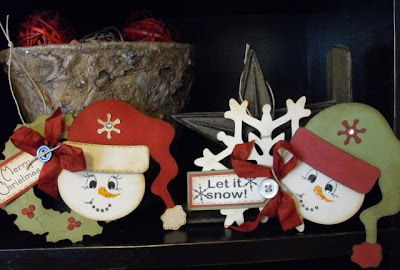 I uploaded lots of pictures of these ornaments! The hats were cut out at 4 inches from the Winter Woodland cartridge. 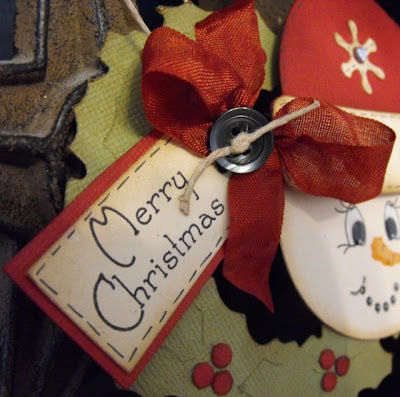 The wreath was cut at 4 inches (Christmas cartridge). I cut out the little berries using my hole punch. 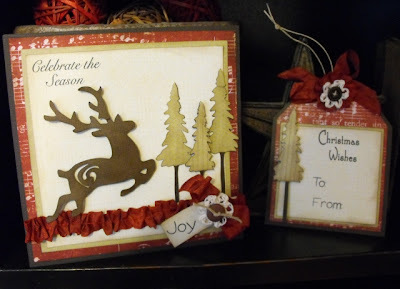 The tags were hand cut. 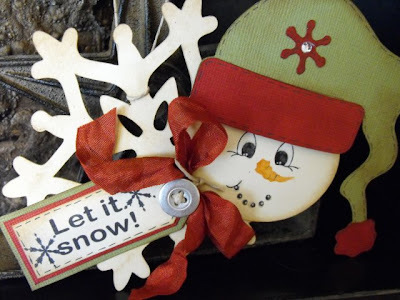 I used Cranberry Crinkle Ribbon on both ornaments. The stamped sentiments came from My Pink Stamper. 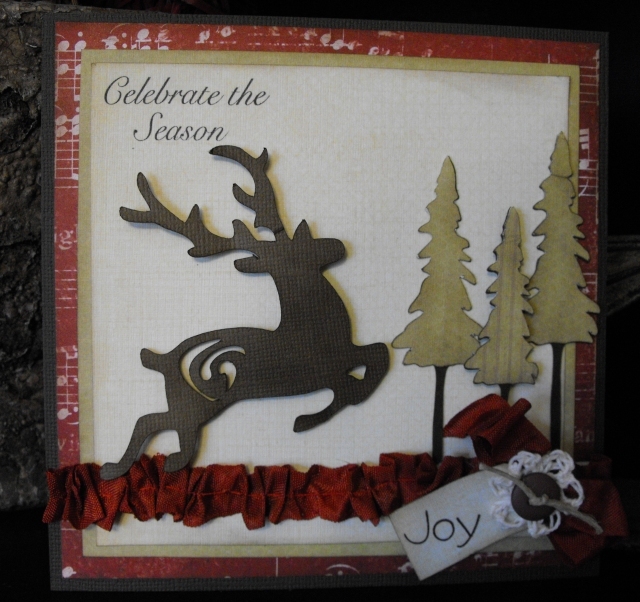 (Winter Punnies and Christmas Wishes) I inked all of the edges with Ranger distress inks. 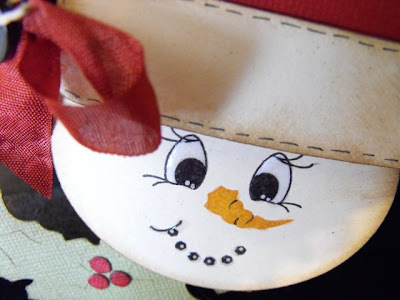 The face stamps are from the Peachy Keen Everyday Character Face Parts and More set. I love these!!! I found this cute snowflake on the Christmas Cartridge and cut it at 4 inches. The snowman faces are just ovals from the George cartridge. I stretched it until it was just right for the hat. 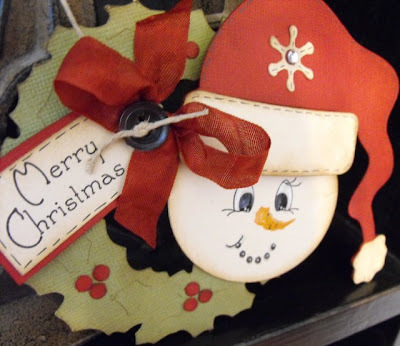 The height of the oval is 2 1/4 inches. 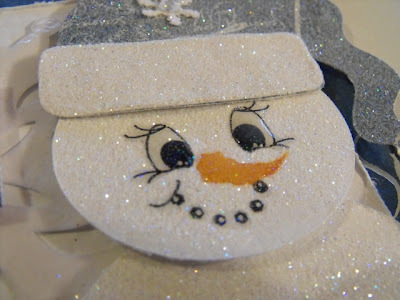 I used glossy accents on the face to make it shiny and dimensional! 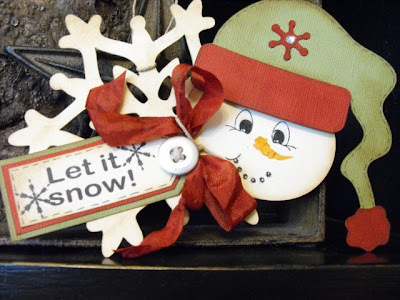 I had so much fun making these cute little snowmen!